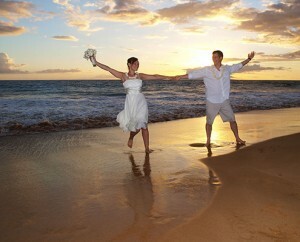 Eric & Arianne were married on July 19, 2010 at Po’olenalena beach on the south shore of Maui. Following the ceremony we captured some lovely images of the newlyweds at sunset. 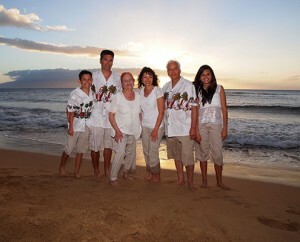 Maui Island Portraits specializes in natural setting, on-location portrait photography of families, couples, individuals and weddings (and engagements, weddings, honeymoons and anniversaries.) Maui offers a number of beautiful locations, especially the beaches. 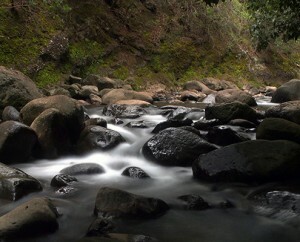 Most of the posts in this site will be natural setting Maui portrait photography; however as a Maui photographer interested in Maui scenic landscape photography, and playing of the portrait website title ‘Maui Island Portraits’ some posts will be ‘Portraits of Maui Island.’ One of my favorite places for Maui scenic landscape photography is Iao Stream which flows through Iao Valley in the West Maui Mountains.